California's transphobic dickhead community just got a financial boost from the man in charge of the company behind the jelly bean. Some of you may remember that last August, California passed the School Success and Opportunity Act, a bill that allowed trans students in the state to choose programs (e.g. sports) and use facilities (e.g. restrooms) on the basis of gender identity rather than birth gender. 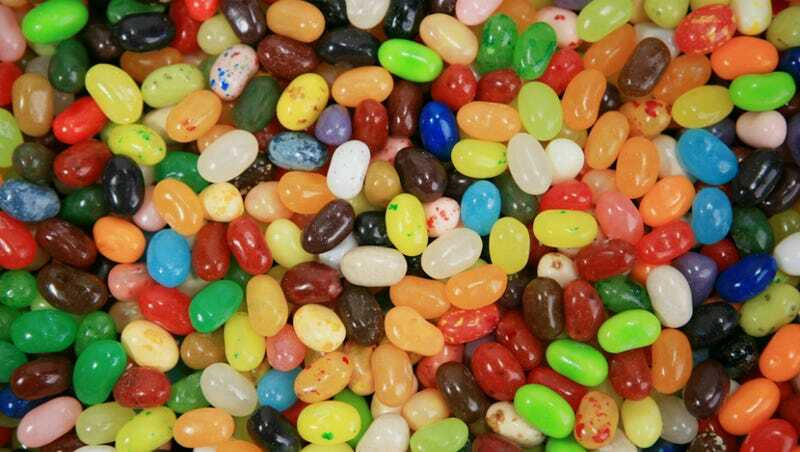 Today, Herman Rowland Sr., Chairman of the Jelly Belly Candy Company — purveyors of the jelly bean, among other confections — was outed as a donor to the "Privacy of All Students" initiative to the tune of $5000. The deliberately misleadingly-named initiative seeks to gather enough signatures to land a repeal of the SSOA on the ballot for the next election cycle — a big deal since conservatives tend to turn out in huge numbers during mid-term elections. By the way, the guy behind the initiative? One Frank Schubert, previously the strategist for the loathsome Proposition 8 and the current political director for the National Organization for Marriage. Surprisingly, NOM hasn't yet been declared a hate group (unlike their sister organization, the Family Research Council), but it's really only a matter of time. Man, suddenly I'm really glad that I've never liked jelly beans. Image via robynrg/Shutterstock. Special thanks to Kat Callahan of ROYGBIV for this tip.